Bowraville Theatre Singers | We sing because we love it! We sing because we love it! The Bowraville Theatre Singers is a community choir whose members come together once a week for the love of singing. They are a sub-group of the Bowraville Arts Council and give concerts two or three times a year. These are usually held in the beautifully restored Bowraville Theatre. Check out the concert tab for details of upcoming performances. 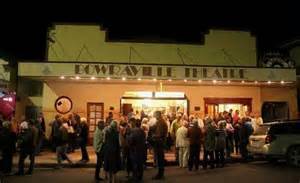 The Bowraville Theatre is located in the historic “verandah post” town of Bowraville, situated in the beautiful Nambucca River Valley on the mid north coast of New South Wales.